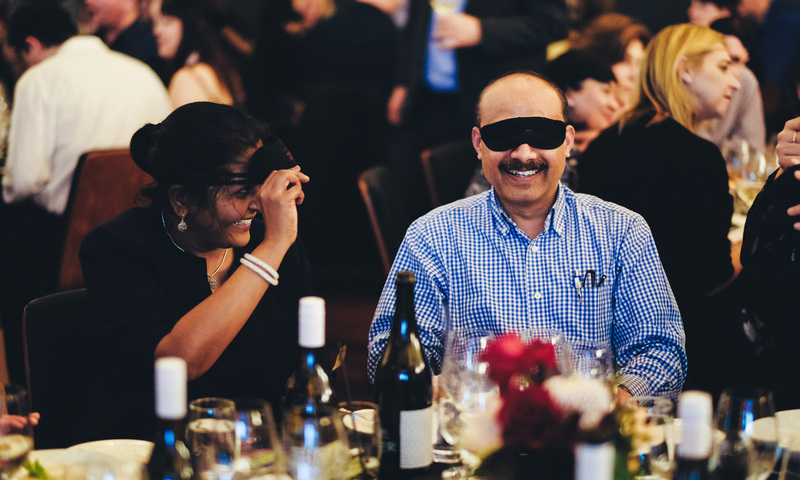 The two-week Tasting Australia festival opens this week, featuring events at more than 120 venues across Adelaide and SA regions, from themed dinners and wine tastings, to long lunches and day trips. The TA hub is the “Town Square”, located in Victoria Square, where you’ll find five different bars (including a Premium Wine Bar and Bubble Bar) and 14 food stalls selling everything from tacos and charcoal-grilled chicken to gelato. STREET – Asian Fusion (April 6): With a menu including Shangahi fried buns, drunken prawns, Szechuan dumplings, Chilli chicken karaage, sushi, and Thai laksa, this one-off event in the Chinatown Plaza will see a team of chefs collaborating to present what is promoted as “the ultimate Asian food experience”. Tickets ($70 for adults and $35 for children) are still available, and include a drink from Tomich Wines on arrival. Glasshouse Kitchen dinners (April 5-14): Tasting Australia is presenting a series of themed dinners with top Australian and international chefs at the pop-up Glasshouse Kitchen in Victoria Square. Several of the dinners have already sold out, but tickets are still available for others, including the $305 East Meets West (April 12), with four courses by four chefs including South Australians Simon Bryant and Emma McCaskill, and the $255 Kitchen Roast (April 14) – “the Sunday roast but not as you know it” – with a line-up including Bethany Finn of the Mayfair Hotel and James Brinklow of The Lane in Adelaide Hills. Let’s Brunch at 2KW (April 14): This $95pp event will see 2KW Bar and Restaurant head chef Trent Lymn and his team create a brunch menu showcasing food and drink from Adelaide Hills producers such as Beerenberg, Woodside Cheese, Lenswood Apples, Harris Smoke House, 78 Degree Gin and The Lane Vineyard. The brunch begins at 10.30am and will include tunes by James Curd. 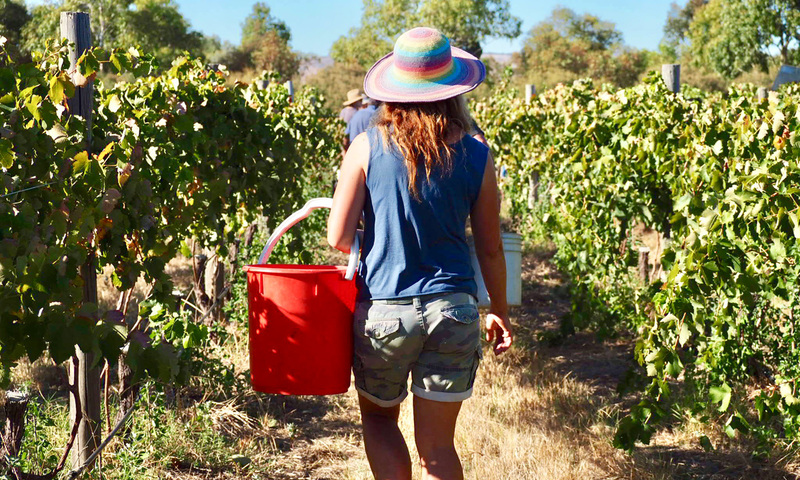 Kuitpo Collective (April 7): Fox Gordon winery will host this afternoon event featuring more than 50 wines from more than a dozen local producers, from classic Chardonnay and Syrah to emerging varietals such as Gruner Veltliner and Gamay. There will also be masterclasses, live music and food by Sunny’s Pizza, Osteria Oggi and Udaberri. Admission is $20 or $35 including bus transfer from Victoria Square. Juxtaposition at Ayers House (April 5 & 6): This event in the grand ballroom of historic Ayers House on North Terrace will see seven craft beers from the seven states and territories of Australia paired with seven yum cha dishes such as a Phuket-style green mango salad and barramundi floss, and torched kingfish with white miso glaze, shiso, shaved asparagus and eggplant chips. Tickets are $155, with a 20 per cent discount being offered for the Friday night only for bookings made direct to Ayers House on (08) 8224 0666. Due Volte at Yalumba (April 13): Barossa winery Yalumba is opening the evocative rooms known as Tanks 11 & 12 – former winemaking tanks located below its original heritage-listed building in Angaston – for this Italian-inspired dinner presented by Sydney chefs Alessandro Pavoni (Ormeggio at The Spit, Via Alta) and Giovanni Pilu (Pilu at Freshwater), who will each prepare two courses to be served with wines from the Yalumba cellar. Tickets are $500. East End Cellars Masterclasses (April 5-14): A range of wine, beer and spirit masterclasses are being held in the Tasting Australia Town Square, including 1000 Years of Wine (April 13, $125), which will feature 10 wines each made from an SA vineyard that is more than 100 years of age; Teste di Nebbiolo (April 14, $85), a guided tasting through 12 different Nebbiolo wines; Freshest of the Bunch (April 13, $75), a fast-paced tasting with some of the state’s top young winemakers, and Blend Your Own Gin with KIS Spirits (April 6, 7 and 13). See the full Tasting Australia program here and read CityMag’s guide to events showcasing SA chefs here. Exchange Specialty Coffee in Vardon Avenue is hosting two special coffee cupping sessions this week. Let’s Talk About Bolivian Coffee, from 6-7.30pm tomorrow (April 4), will see participants taste and compare six Bolivian coffees, with a discussion about where they were grown and what makes them distinct. Let’s Talk About Brazilian Coffee, at the same time on April 5, will focus on coffees from Brazil, the world’s largest producer of coffee beans. The coffee cuppings are being presented by Exchange’s Tom Roden in association with Melbourne-based Market Lane Coffee. 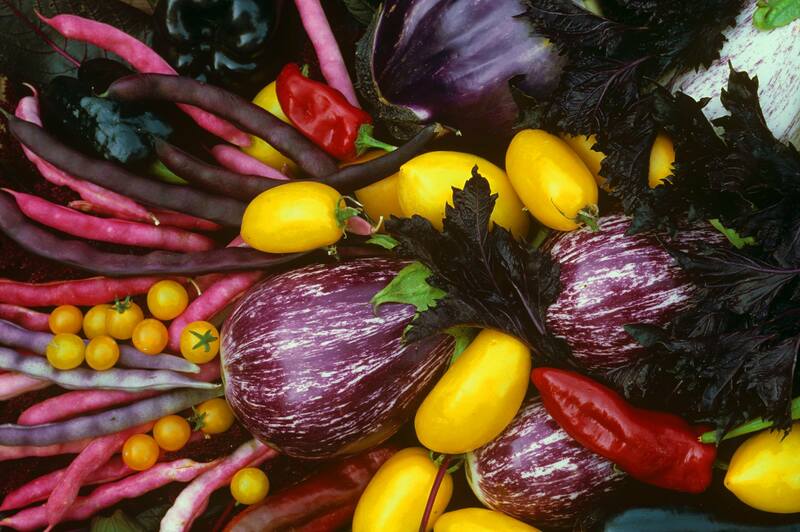 Adelaide Botanic Garden is hosting a two-day celebration of heirloom vegetables and gardening this weekend, including free cooking and preserving demonstrations, gardening talks, market stalls, vegetable displays, a pop-up café on the Schomburgk Pavilion and more. There are also ticketed masterclasses in the Noel Lothian Hall, including chef Rosa Matto and Diggers co-founder Clive Blazey’s Olive and Grains workshop which promises to take participants on a “taste tour of the Mediterranean”. Details here. Waymouth Street Restaurant Press* Food & Wine has teamed up with Adelina Wines and Imperial Measures Distilling to present a Suckling Pig Party featuring a “roving feast” of canapés and Berkshire suckling pig with all the trimmings, plus wine and gin-based drinks. Tickets for the mainly stand-up event are $55 (food), with the party beginning at 1pm. Beer lovers will be heading to the Hills for this annual event at Gumeracha’s Federation Park, with crafty offering from brewers including Shifty Lizard, South Coast Brewing Co, Left Barrel, Reckies, Moon Dog and Rehn Bier. There will also be cocktails from Applewood Distillery, wine from Talunga Estate, a range of food stalls selling “bites” ranging from paella and Indian, to burgers and BBQ wings, plus live music. Beer & Bite Festival begins at 11am, with tickets costing $25 (including your first beer or cider). Chef Chung Jae, who previously ran Gouger Street restaurant Mapo before moving to Darwin in 2014, is hosting this dinner at Magill Road restaurant Fine & Fettle. He will be cooking dishes from his upcoming second cookbook, Temple Food, with the menu including pork dumplings, eggplant teriyaki and bimbimbap. Tickets for the Korean Chowdown are $39. This month-long celebration of the crustacean at Sean’s Kitchen sees the Adelaide Casino restaurant serving up a special menu of crab-themed dishes such as dressed spanner crab, king crab rye bagel, soft-shell crab tacos and king crab mac & cheese. There will also be a weekly Louisiana crab boil on Tuesday nights ($45), while Thursday is chilli mud crab night. Check out the full menu here. One vegan festival a year simply isn’t enough, so the team behind October’s Vegan Festival Adelaide have created this autumn event to be held at the Main Assembly Building, Tonsley Innovation District. Running from 11am-6pm, Vegan Palooza promises plenty of local vegan food and drinks, with details of stalls to be released in coming weeks on the Facebook page. Stamford Plaza Adelaide has taken inspiration from Charlie and the Chocolate Factory for this showcase of “scrumdiddlyumptious delights”. Guests will be greeted with an espresso martini (hot chocolate for the kids), and in addition to the finger sandwiches and other savoury items, you can expect chocolate scones, white chocolate and Tonka-bean meringue tart, opera slice, dark chocolate biscuit roll and chocolate hazelnut macaroons. Chocolate Factory High Teatickets are $59 (plus booking fee) for adults and $35 for children. Following on from last month’s Magnum Champagne Dinner, Sprout Cooking School is now planning its next special event – a “seasonal dinner” featuring five dishes it says will showcase the best of SA’s fresh, season produce paired with local wines. Tickets are $100pp; details here.